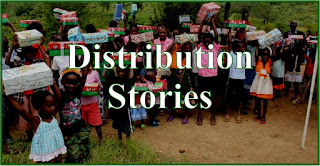 It's always like Christmas when my girls bring in bags from a shopping trip filled with Operation Christmas Child shoebox stuff. One day they stopped in several stores and found nothing but hit the local Hospice thrift store and scored some fun stuff at great prices (our local thrift stores are usually priced high and not worth checking--but the Hospice store often has great prices). I also am quite picky as to the items being very "like new" which can be hard to find. If you have been around long you know I love dolls. When my daughter walked in carrying two grocery bags with dolls inside I was tickled. A few need a little cleaning up and/or new outfits but some are as if they just came out of the box. UPDATE: I've been making blankets and Elizabeth has been making hats for the babies with matching hats for the girl. 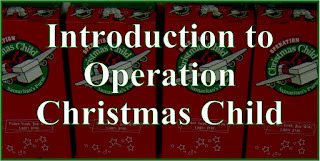 You can check them out here: Crafting Filler for Operation Christmas Child Shoeboxes. They also found these blocks which I'll make a drawstring bag for and this great game for a quarter (I'll also make a bag for it as it has small parts). Just look at this expression....I would love to keep this little one she is so cute! I wish you could see her in person -- her eyes are amazing! I can't wait to sew up some fun things for her and the little girl who will receive her. And this little one is so very cuddly...what a comfort she will be. I make a lot of drawstring bags and have been wanting to try shoe laces as the drawstrings so I told them if they were in the dollar stores at all to look for multi-packs. These have eight pairs of varying sizes. They should be easy to use and super sturdy for the child. Sarah also spotted these Jenga like mini games so she grabbed one for each of the 10 to 14 year old age groups. My husband's cousin lives in the land of retail (which I do not) and she had bought 86 toy cars from the Dollar General buy one get two free sale a while back and delivered them to our shoe box stockpile this week. She was also able to go to Joann's for their $3 a yard fleece sale. She picked some up for us to make biti-blanket loveys with her birthday money from last year. She was tempted by this piece of fleece even tho it wasn't on sale and she couldn't resist as she is in charge of our 2 to 4 year old boy boxes this year and she is including a few Match Box cars in each. As you can see by the three I laid on the piece they fit perfectly. I am not sure what size we will be cutting this to be sure there are enough race tracks for them to drive on. Here are the other boy prints she got. I was so glad she was able to make a trip to my house so I didn't have to wait long to see all of these. And here are the 2 to 4 year old girl prints she got for my 2 to 4 year old girl boxes. I can't wait to get started! I have a new idea as to how to finish the edge of some. She also brought these two pieces of fabric her mother had sent her. They were from my husband's mom's stash originally. I decided this 1/2 yard heathered blue piece will be perfect for a skirt to go with this penguin shirt--the blue matches the snowflakes perfectly. I'll use this green trim, also from hubby's mom, somehow on it. The other piece is 3 yards and has some polyester in it I think so I will use it for tote bags or pencil cases. I'll figure a way to add a pop of color or fun to jazz it up. 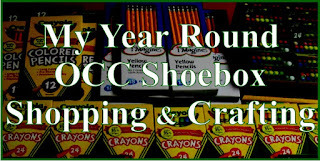 I hope you all got some great things for your shoe boxes this week. 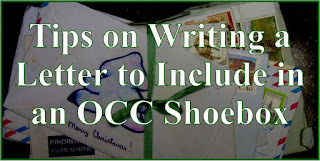 I'd love to hear about them and if you are on Facebook you can share images with us at Simply Shoe Boxes' Facebook Page. 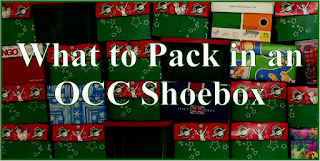 If you haven't stopped by and liked our Facebook page I'd love for you to join us there and like the page & follow along our Operation Christmas Child shoebox packing journey. WOW!!!! I wish we had a thrift store like that one. What a blessing. 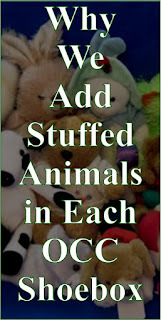 My sister in SC finds dolls like these and she knits new outfits for them. So far we have about 45 dolls finished for this year. She lives in Sumter and there are two military bases there with young families moving in and out all the time. 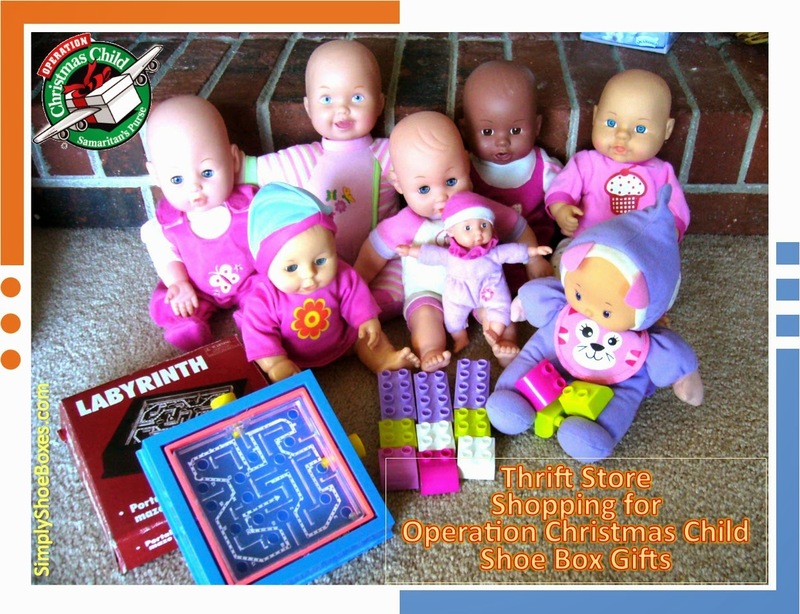 So the toy boxes get cleaned out and lots of dolls hit garage sales or thrift stores there. We have a team of people that do all sorts of things for the boxes, otherwise we'd never be able to do 1000 boxes. I read your blog every day and it is inspiring. Keep up the good work. How wonderful, Sharon! My daughter is learning to knit, I am hoping she can do some knitting for the boxes and would love some knit outfits for my dolls. In the meantime I'll sew them some :-). Love the teamwork you have, I see how on a small scale it makes a big difference in our packing. Happy last yr Birthday, Dear Cheryl!! I know your girls are delighted when they see G0d provide so amazingly. I am hoping to hit a hot wheel sale this year or get Mom to. She use to love picking them for my boys so that is another way to engage her! They had 9 for $10 at Krogers for Valentines but that isn't low enough for me. Will share on FB what happened yesterday! Great idea! I so wish my mom-in-law was still living. She loved bargain shopping and would LOVE to shop for the kids in need. What fun she would have. Look forward to your FB post :-). 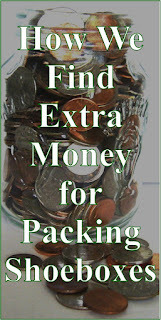 Great finds for your boxes! I love reading your posts. You always inspire me with things that I would not have thought of otherwise. I lucked up this week at our local Goodwill. They had a stack of animal bath mitts for kids (that could also double as puppets) with the original price tags still on them. Got them for .59 cents each. Oh, and some rubber band bracelet kits, new in package for .59 cents each for older girls. I love the shoe lace idea for the draw string bags. I'll have to give it a try. I have been using a nylon cord that I get at Walmart's in a large cone and we have decorated the ends with pony beads. Now I'll try the shoe laces. Thanks for sharing your great ideas. Thanks for stopping by, Carla! I love the idea of the bath mitts as puppets. Our local Goodwill has such high prices!! I'd rather by new, but I'm glad this other option of thrift store came in. Thanks for sharing your finds -- I love to hear what everyone gets. Hi, Edna! I used a few of the shoe strings just the other day and I, too, added three pony beads to the ends! They pull up and stay well on the shoe strings. I love the added pop of color. Thanks for sharing. I love your blog! 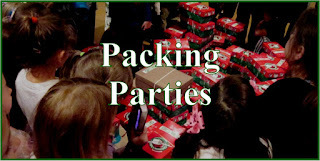 My son challenged our church 5 years ago to start packing shoeboxes. 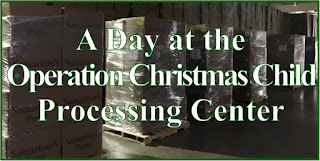 This year we were able to help at Baltimore's packing center and now we are working harder at finding the sales and collect all year long. But the other day at Staples on the clearance I found Fiskar scissors for .50 each, we found small concentration/logic games for $1.00 each and I found little water bottles for .25! I was so excited about my finds for the day!!! How wonderful!! Unexpected finds are always so exciting! 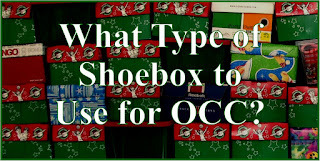 Thanks for letting me know you enjoy Simply Shoe Boxes! Keeps me posting. Thanks for sharing your finds -- I love hearing what is happening on everyone else's journeys. I,too, love the idea of shoelaces. I don't really sew but am learning so I can do things like this. Much of what you show is easy enough to at least try. I live in the middle of nowhere too, so shopping is difficult. Learning to sew and craft makes packing easier. Thank you for all you do. So exciting you are learning to sew, Jackie! 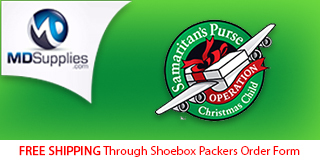 You will be able to do a LOT for your shoe boxes with sewing. And yes, almost everything you see posted here will be easy because I want to do things quickly so I can do more. 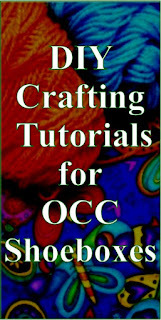 There are several things in the craft tab at the top of this page that a beginner can do. 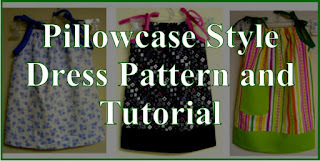 And with fleece you can do a lot of no sew projects. 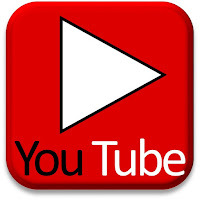 Would love to hear your progress, keep me posted.